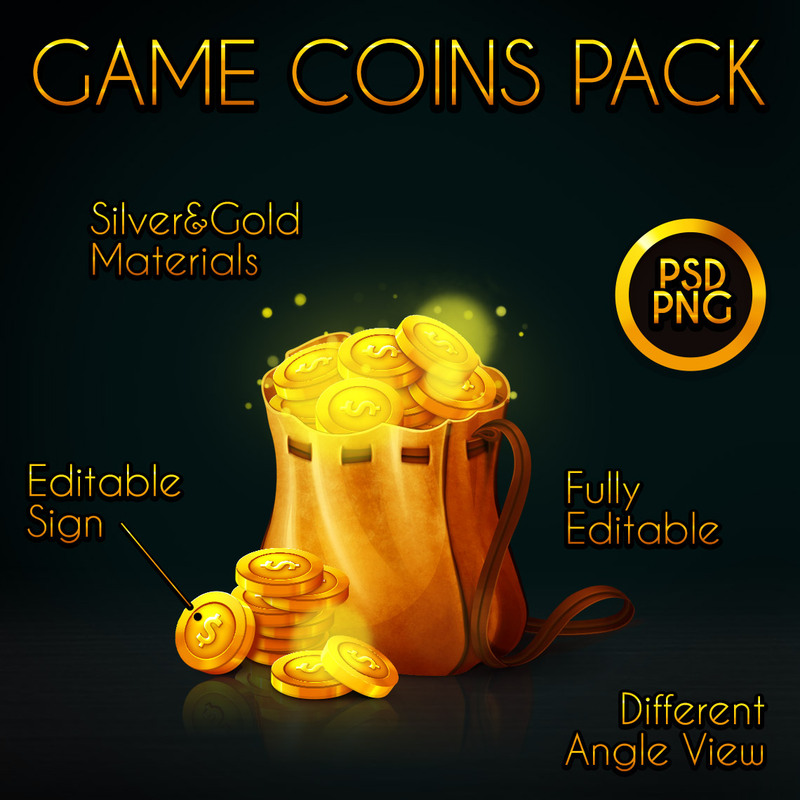 Game Coins Pack is a pack of coins in different angle view and animations in two materials with premade heaps, bags, chests and editable layers to create your own coins pack in casual, hand drawn style for your mobile/web/video game. Build your game in days not weeks! 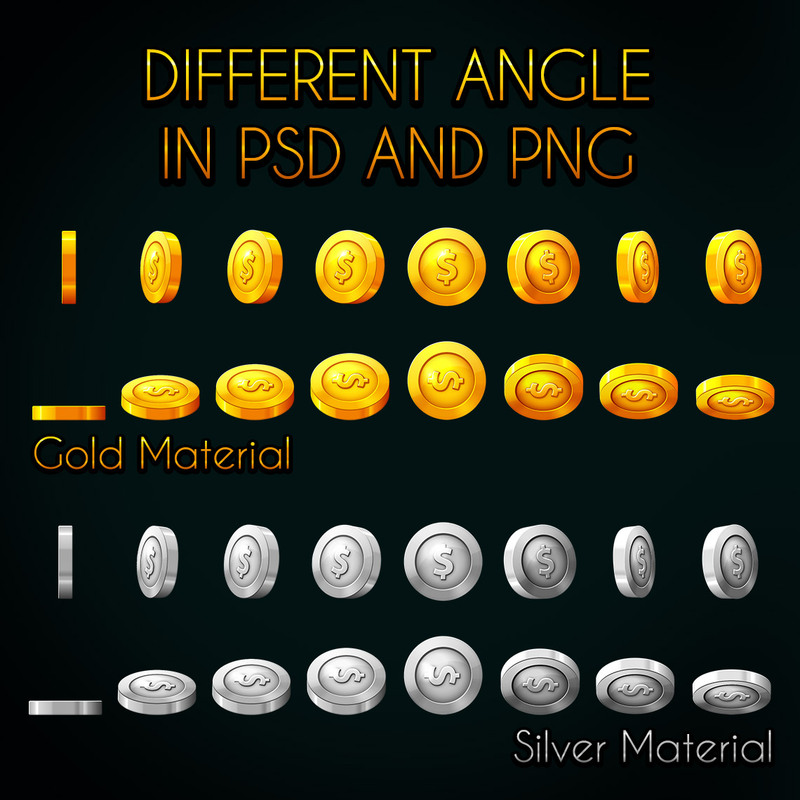 • 2 PSD Coins files in 16 angle view each in gold and silver materials. Fully editable with shapes and layer styles. 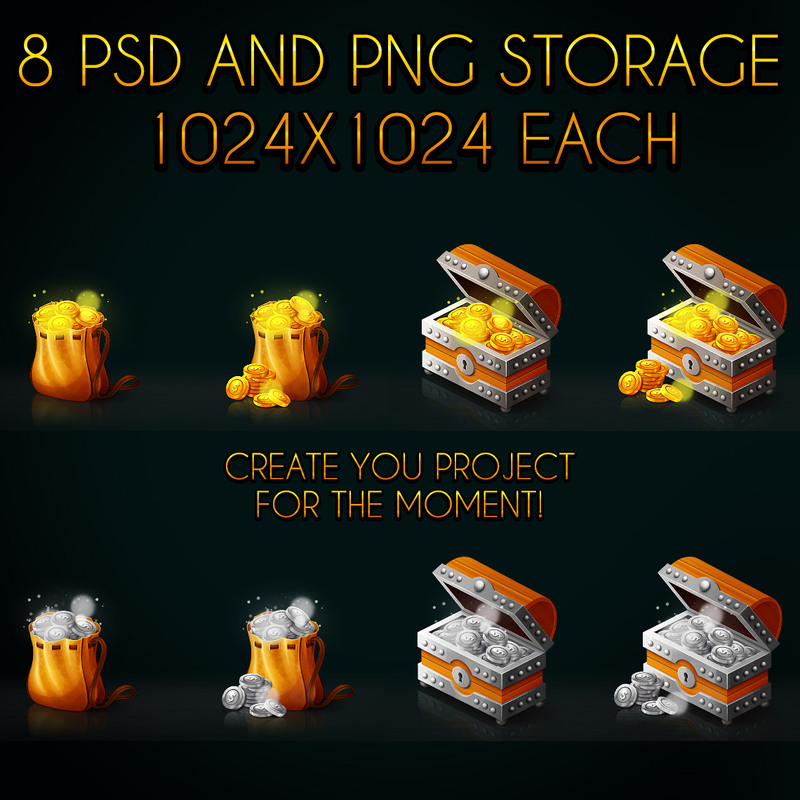 • 32 PNG Coins files in different angle view ready for animation. 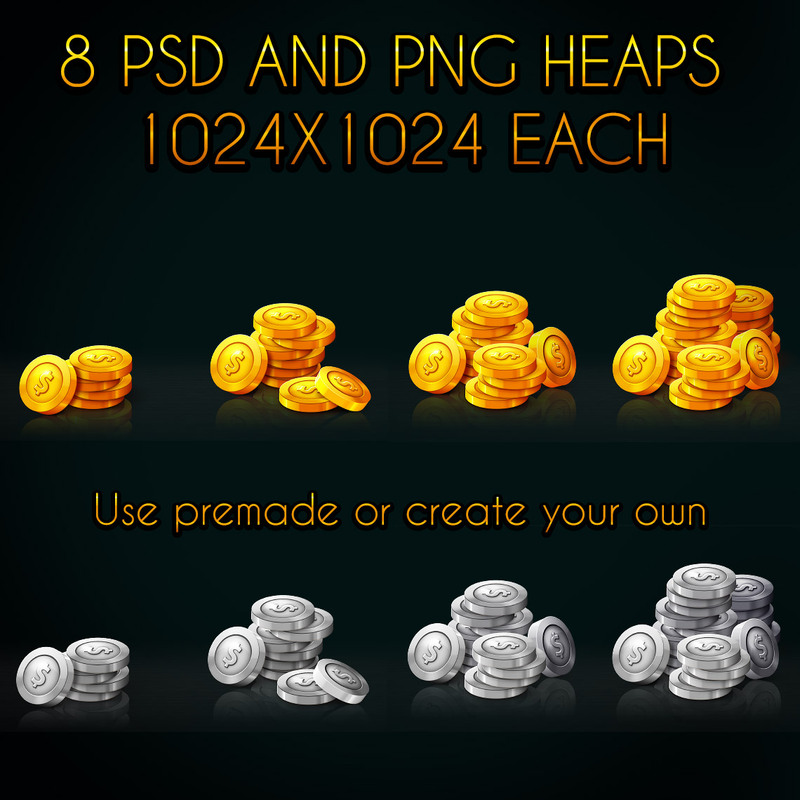 • 8 Coins Heaps in gold and silver materials. 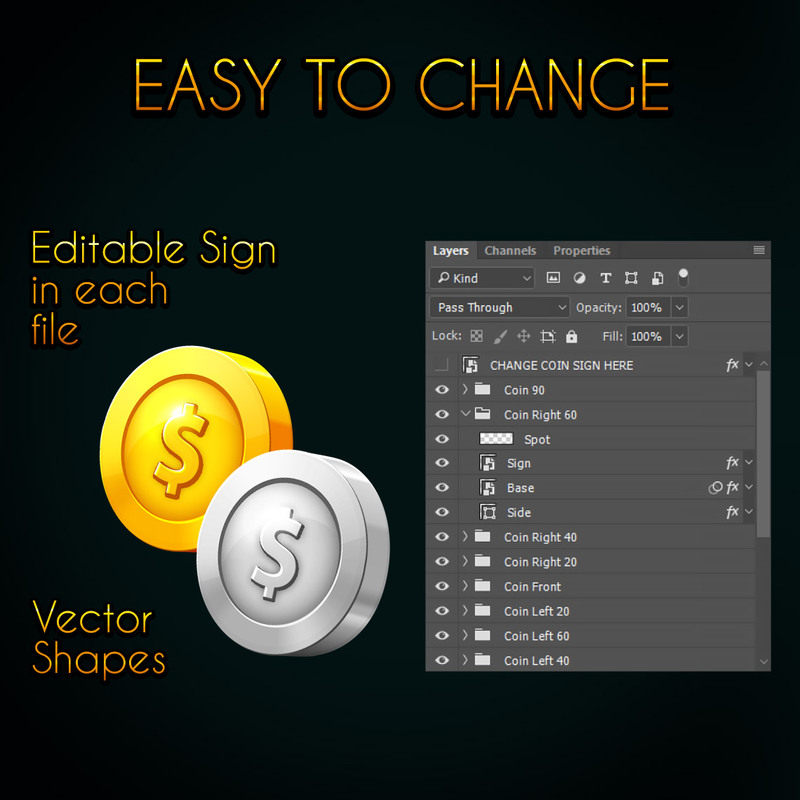 Fully editable with shapes and layer styles in PSD and PNG. 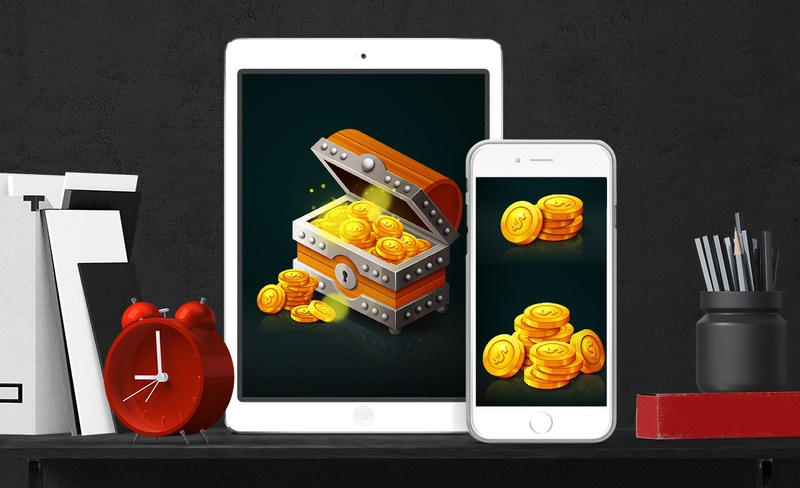 • 8 Coins Storage including bags and chest in gold and silver materials. Fully editable with shapes and layer styles in PSD and PNG. If I buy your asset, can you help me with any issue? Sure, we try to make the best products, so we are always happy to help you understand the project. If you have any issue or suggestion, please email us. Is it possible to customize your asset for me, change some features or add new, made new UI, theme designs, etc.? In general we are free for the freelance work. If you are interested, please contact us individually. If I have bought your asset, can I use all images and codes in my commercial projects/game? Yes, you can use them personally and/or commercially in your game and project. Can I publish the game with your asset in the Google Play Store, App Store, etc. without getting policy issues? Yes, the license of the Unity Asset Store allow this, but we can`t guarantee that Google Play Store or other Store will approve your game.